What Is a Delmonico Steak? The term Delmonico steak can mean a lot of things, and there is little agreement about precisely what steak it correctly refers to. In fact, about the only thing people seem to agree on is that it's named for Delmonico's, a steak house in New York where it's said to originate. Unfortunately, no one can say for sure exactly what cut of meat Delmonico's was serving when it created the Delmonico steak, because it happened in around 1840, and there's no one around who remembers. As such, butchers, chefs and steak aficionados can't even agree on whether a Delmonico steak should be boneless or bone-in. And there's even less agreement about exactly which cut of beef it should be made from. At its most basic, though, a Delmonico steak is a big steak—possibly up to two inches thick. And it should be a very high-quality piece of meat, with plenty of marbling. Furthermore, it needs to come from somewhere in the rib or short loin section of the beef. It might be a bone-in or boneless ribeye steak, or a boneless or bone-in strip steak. Some descriptions of the Delmonico steak depict it as a smaller version of a T-bone steak. So, we have a mystery. 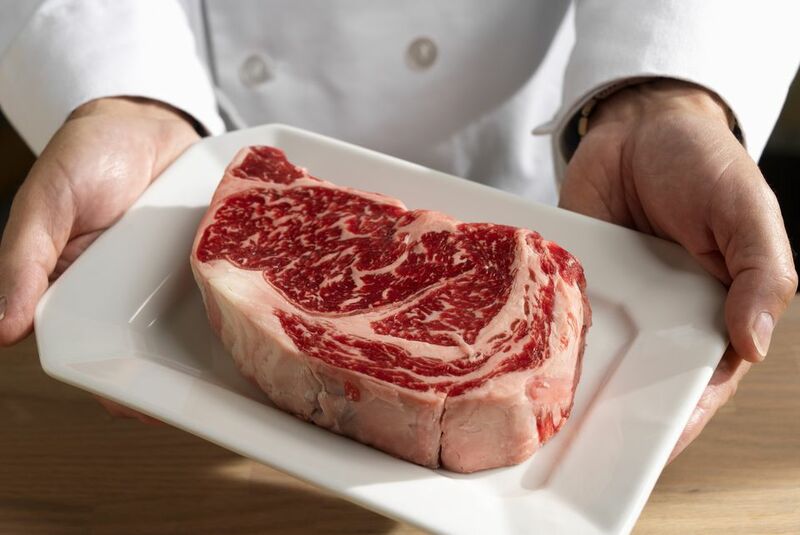 We do know that the Delmonico is a tender cut of meat, which should be cooked quickly with dry-heat cooking methods such as grilling and broiling. This uncertainty has led to a kind of free-for-all in which anyone with an apron and a pair of tongs can claim that their steak is the authentic Delmonico. There are no culinary police to stop them. As it happens, it's an increasingly common practice among butchers to take chuck eye steaks, tie them up with string and call them Delmonico steaks, which is about the same as taking a Chevy, sending it through the car wash and calling it a Cadillac. This practice is only something they can get away with in the first place because there is no strict definition of the word "Delmonico." Still, using a semantic loophole to take advantage of unsuspecting customers is not something a good butcher ought to do. Ultimately, the Delmonico steak is as much myth as it is a specific cut of steak. If it's a thick, good quality steak from the rib or short loin, you could call it a Delmonico. Delmonico's Restaurant is still in business, and on their menu, the Delmonico steak is a boneless ribeye.